When I first laid my eyes on the title screen for Little Dragons Café I was unsure of what I was getting myself into. I had no idea what type of game this was nor had I watched any media leading up to its release. This was as blind as I could get going into a game and I’m glad. On paper the concept for the game would have been a turn off for me so experiencing it fresh was definitely the way to go. 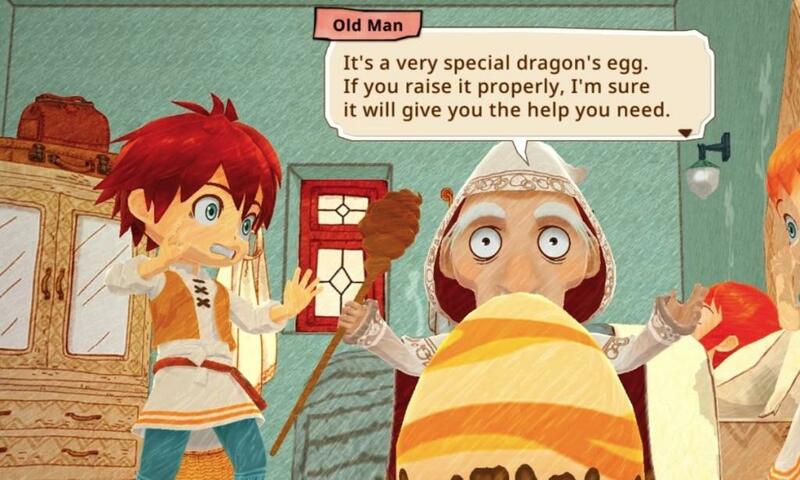 Little Dragons Café is developed by Aksys Games but what is even more interesting is that is comes from legendary developer Yasuhiro Wada, creator of the classic Harvest Moon series where you farm to your heart’s desire. Millions of people fell in love with the idea of planting their own crops, raising animals and selling their products to citizens of nearby towns. Unfortunately, if you were looking for this exact same experience in Little Dragons Café you are going to be slightly disappointed. The idea here is to run a slow but steady cafe because your mother has fallen ill and she cannot do it herself. You and your sister (or vice versa depending on whom you choose to be) must discover why she has become sick while also working to increase the cafes popularity. You meet an old wizard-type man who tells you that your mother is actually half dragon and on top of all of your other responsibilities, he wants you to raise a dragon yourself from an egg to giant beast. Popularity grows as you introduce new types of food dishes to the menu. To get these, you need to find recipe fragments around the world. By collecting four you will gain access to a new dish for your menu. Specific ingredients are also required that can come in many different qualities such as fresh, rare and shiny. The better items you use in your dish, the higher rated they become and the more your cafes reputation increases. With that, higher numbers of people will visit and your place will become overflowing with customers. The game is in constant motion and you must maintain every aspect of it in order to succeed. The game itself is beautiful, stylized 3D models mixed with 2D assets lying around the environments all with great crayon like color work. It is a unique look that works for the cuteness of the game. At times you may see some mismatching textures depending on the characters that are introduced but for the most part it all works really well together. 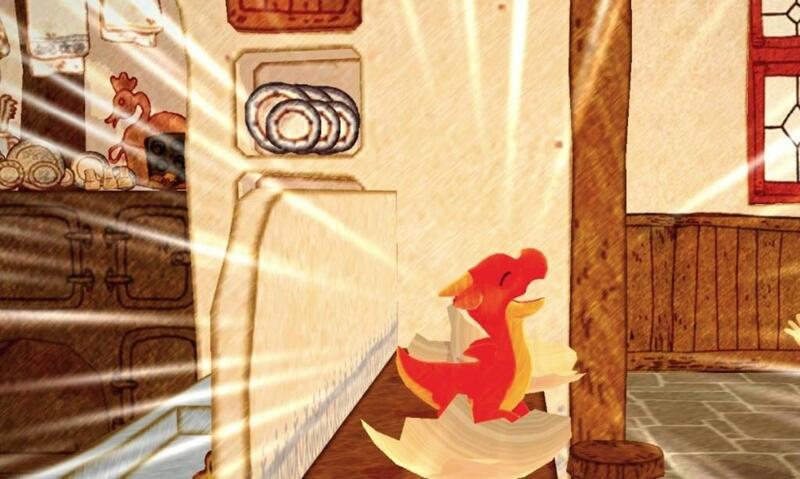 There are ten unique stories in Little Dragons Café that all come from gaining reputation. At specific milestones, new characters will appear and you will be tasked with helping them with whatever problem they have. For the most part the stories act as a way to discover a specific recipe and to open up new unexplored environments. All the stories happen in small snippets and require you to complete an objective to progress. A majority can be as simply as going to bed or coming back the next day but the last objective is always collecting a recipe and creating a new dish. Some more creativity could have been utilized here since after a while the starting of each story becomes too similar to the last. I definitely found that I could ignore the café for a couple days and explore the island as much as possible. Parts were blocked off depending on how far I had progressed in the story but there was a tendency to try and discover everything before going back. The café could never close meaning that losing the game wasn’t possible. All that was needed was to ensure that the cook had enough ingredients to make the meals I added to the menu and to help out in the cafe when a boost in reputation or story progression was required. Helping consisted of taking orders, serving tables and cleaning up after customers. Even though you have a cook that can create dishes for you, you need to cook them yourself at least once to discover them for the menu. This is done through a basic rhythm mini game where you push the direction shown as it enters a specific circle on the screen. I heavily disliked this mechanic and wish there was a way to create multiple of one dish instead of having to create the dishes one by one over and over. It became extremely repetitive especially for something that was not engaging. Also, don’t forget about the growth of your dragon. You need to feed it every once and a while to gain one of the greatest items ever placed in a videogame: Dragon’s Manure. This manure is basically the currency you need to rush the growth of your crop, increase output of your seafood pond or find rare ingredients in the wild. As you further the story, your dragon continues to evolve. The bigger in size, the more it can do. If a land was off in the distance but not connected to your island then you would have to wait until your dragon was large enough to fly you there. A pile of wood blocking your path would not be a concern once your dragon has gained the strength to simply break down the barrier. There is so much to discover in this game that you will always find new recipe fragments as your dragon grows and gains new skills. After a while the game became very repetitive and I end up just trying to rush towards the goals. This can happen all the faster if you decide to explore everything initially and then come back to the story. The story is meant to open up new exploration options but there is little to stop you from finding your own ways around especially when your dragon evolves and gains the ability to fly. 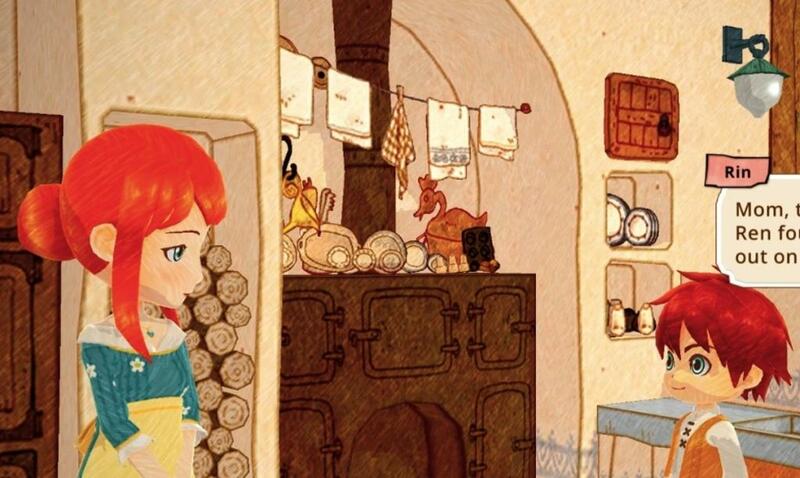 Little Dragons Café could have been something special but the repetitive nature of the genre and the lack of diversity in quests left much to be desired. As cute and cuddly as the aesthetic leads us to believe this game might be, it just isn’t and that left a bad taste in my mouth. As a full price title I can’t recommend it easily to many but if you are a diehard arcade-style farming guru then this could be for you.